Foundations: We will now be holding foundations at 6:45pm on Thursday evening. All members are welcome to join if the class has foundations attendees. New Shirts: We still have some of the new style shirts in stock. Pick one up and update your gym look! For those of you that want to get better at CrossFit: COME TO OPEN GYM AND WORK HARD! Autonomy in your fitness program is extremely important. It can help fill the gap of weaknesses that each individual may have. A coach will be around to help with your workout and technique. Use this very valuable free time to your advantage! 4. 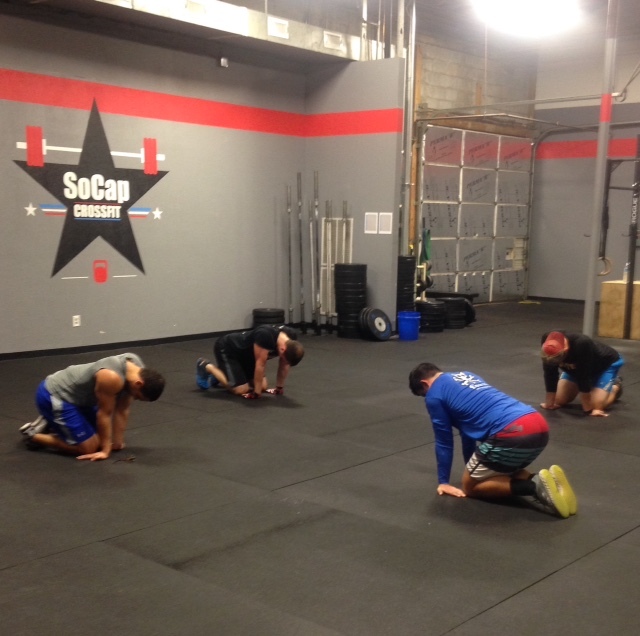 Work on flexibility and mobility.